The proposal combines the activation of the water edge with direct transit from the upper level of the festival plaza to the new Oval. It extends the existing landscape, creating a topography that can be used as a programmable space, e.g. 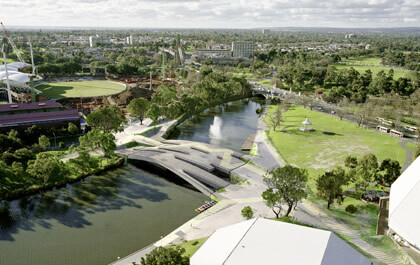 allowing the functions currently held beneath the festival centre to extend onto the bridge.